Do your ears yearn for something more this holiday season? As Jingle Bells echoes around in your head during your Christmas shopping, prepare for something different. 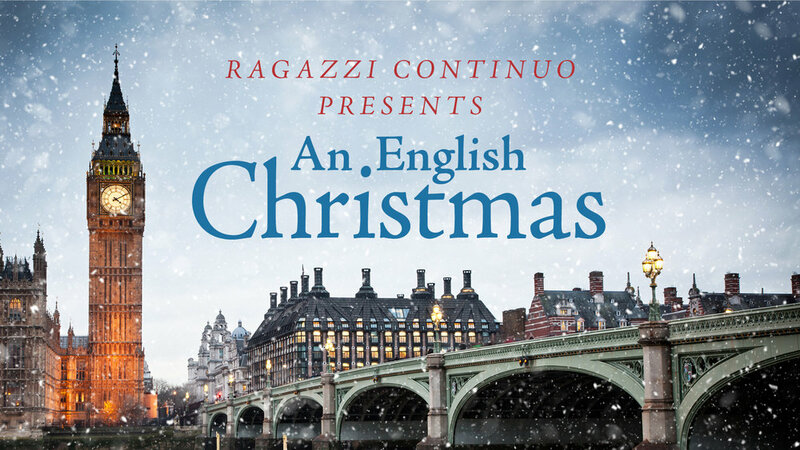 Come join Ragazzi Continuo for An English Christmas, a jaunt through familiar sacred and secular texts, but presented as they are sung across the pond! Many carols that we know, love, or have heard (perhaps) a time too many have fresh and unknown melodies that are used in the English tradition. This program, inspired by tunes from the King’s College, Cambridge Lessons and Carols service, will take the audience on a tour through the Anglican canon, with selections including 15th century folk songs, the sweeping polyphony of the English Renaissance, World War I era carols and more!